Casey-Bertram helped St. Richards Episcopal School located on N. Meridian Street create a bigger campus for future expansions. 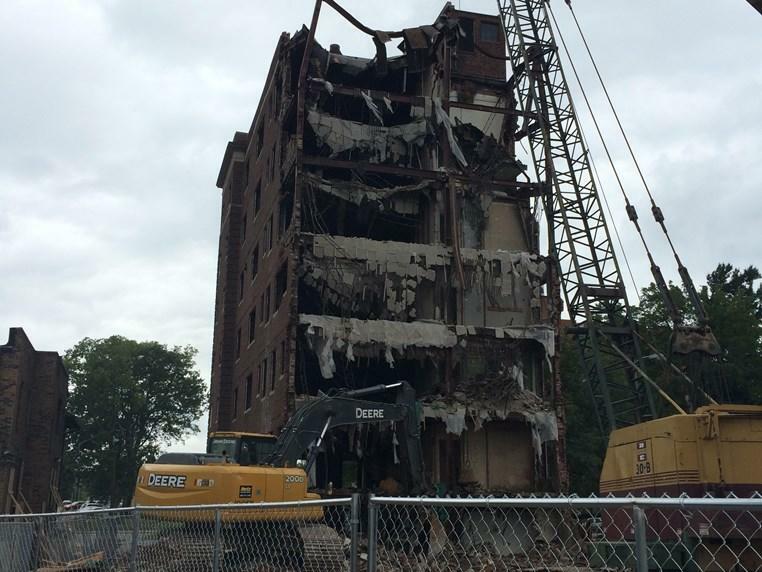 The demolition consisted of demolishing a blighted apartment building, old daycare facility, and the 7-story Atkinson Building. The debris was sorted and Bulldog Crushing and Screening helped Casey-Bertram to recycle all the masonry from the building to crush and use as backfill material. Great care was taken to preserve the house that had been attached to the daycare building. We also had to protect the office building located beside the Atkinson building to avoid it being hit by falling debris while it was being razed.